The word in the vineyard is that harvest is just about to get underway! With a few loads of Chardonnay coming in last week for our sparkling wine, harvest has started a few weeks early this year. With our early spring and moderate summer temperatures, the vines have produced gorgeous fruit that is ripening well. Equipment is being serviced, the crew is being trained and all hands are hard at work preparing for another harvest season. Long, dusty hours are upon us, but once those clusters come into the winery, the long road to the bottle begins. It will be a few years, but we can’t wait to enjoy the 2015 vintage! Photo above: Our tasting room Zinfandel went through “veraison” a few weeks ago…the onset of ripening when red wine grapes begin to obtain their deep, luscious color! When Julio Lobato was hired in 1991, he thought he was starting just another job. 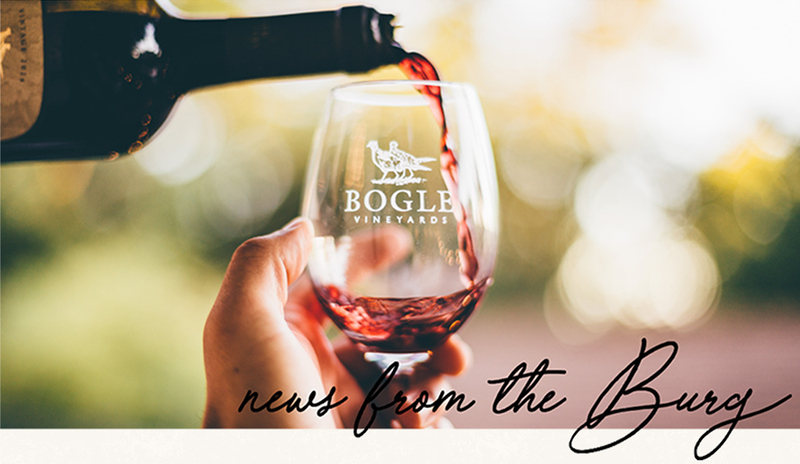 He quickly found out that Bogle vineyards is much more than a place to earn a paycheck.”From the first day I got here, Chris and Patty Bogle treated me like I was a part of the family,” said Julio. Knowing very little about wine at the time, Julio was a bright-eyed 19-year-old just trying to fit in. Julio didn’t need to head home, Patty was known to hand-deliver fresh ham and egg breakfast burritos and even pull out the futon so Julio could sneak in a quick nap before heading back to the crush pad. Some of his fondest memories during the first few years on the job were the Bogle company trips to Oakland A’s games. The crew, which made up of just a handful of people then, would all pile into the family Suburban and head to the Bay Area once a year. Baseball games aside, what resonates with Julio today is the way he saw Chris and Patty work hard, yet take a moment to enjoy the effort at the end of a day’s work. With nearly 25 years under his belt at Bogle, Julio has come a long way, right alongside the developing production team. What started as temp work during crush grew into a cellar position as Julio learned the ins and outs of winemaking, literally on the job. Today as Cellarmaster, Julio is responsible for the barreling and storing of the wines during the winemaking process and he works hard to ensure that the Bogle standards of quality are always a top priority. 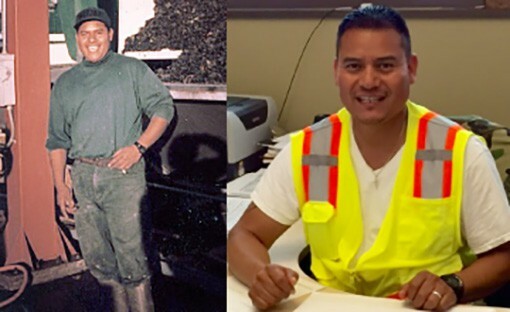 The photos above show Julio on the crush pad in 1992 (left) and Julio at his desk (right), 24 years since his first day at Bogle!